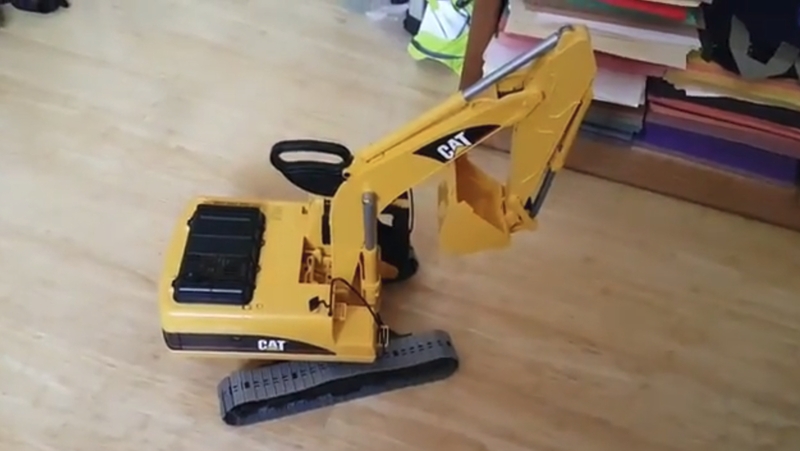 Australian John Graves has a 5-year old son who loves to play with construction toys. So, John has taken a Dark Water 640 motor controller board, which allowed him to control all 6 motors on a Digger Toy at once, and a Raspberry Pi Zero to create a new control mechanism. He’s then paired a PS3 controller to the Pi over Bluetooth and written some code to tie everything together. He later added LEDs and a Pi camera to the toy, just for fun. You can read all about how John did it over on his blog and see a video of the final test below.